The Power Button To Our Campus. The Office of Information Systems is your one stop for all things computing. Wake Forest students enjoy a robust suite of software applications and full access to cloud-based tools while having the ability to choose the ideal computer. These tools will empower you to collaborate across the University and beyond. 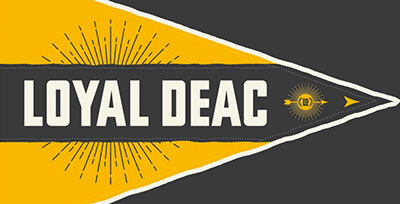 As a Wake Forest student, you can access many services, such as WFU Google G Suite for Education, WebEx, Sakai and WIN, using your DeacNetID (username) and password. Use of all Wake Forest technology resources is governed by the Policy on Responsible and Ethical Use of Computing Resources. Please take time to read this policy, found on is.wfu.edu, as you are accountable for adhering to it. This policy is presented to you when you claim your account, and this is a friendly reminder. Annually, there is a copyright infringement notice that is sent out reminding you of your responsibilities regarding the use of copyrighted materials. This notice is found on is.wfu.edu/services/copyright. All undergraduate students at Wake Forest have the opportunity to purchase a laptop through WakeWare, the University’s academic technology program. WakeWare gives you the choice of specially selected Apple and Dell laptops at a negotiated price with extended insurance and warranties. WakeWare Dell and Apple laptops are designed to best support you through your years at Wake Forest. All WakeWare laptops are bundled with four years of warranty and accidental damage protection, including liquid damage protection. Our on-campus Service Desk is certified to repair all WakeWare laptops and guarantee that you have a loaner laptop if ever needed. Visit the WakeWare website FAQ page for more information about warranty coverage. Students receiving any institutional aid, including need-based, merit or athletic scholarship, are eligible for a Technology Grant. Technology Grants cover the cost of the standard WakeWare laptop, including insurance and Winston-Salem tax. Those receiving a Technology Grant will be contacted in late May. Students may order their laptop online throughout the summer and have it shipped anywhere in the U.S., or pick it up from our Wake Forest University Bookstore, located in Taylor Hall right on Hearn Plaza. If having the newest model available or taking advantage of any summer promotions from the vendors is important to you, we recommend waiting to purchase your laptop until August 1. Information about the WakeWare program, including software, minimum configuration requirements and support limitations on non-WakeWare laptops, is available online at WakeWare.wfu.edu. All students must have a laptop that meets established minimum requirements to support the academic software required. Each spring, new requirements are posted on the WakeWare website under BYOD Requirements. Before connecting to the campus network, all students entering Wake Forest must read and sign the Student Technology Agreement in WIN. The agreement pertains to software usage rights, ethical use of the campus network and facilities, and the commercial use of the computer infrastructure and software. Instructions can be found at go.wfu.edu/f101studenttechagreement. 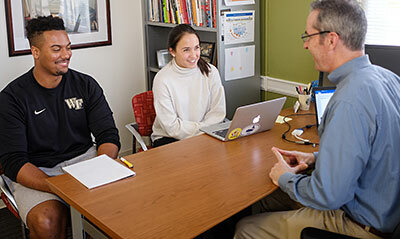 Software@WFU offers a variety of academic software available at no cost for all Wake Forest students, faculty and staff, including Microsoft Office, Adobe Creative Cloud and more. 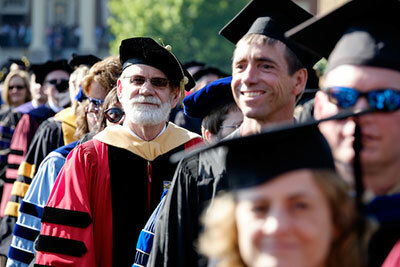 Students should visit software.wfu.edu to download all needed academic software before the first day of class. 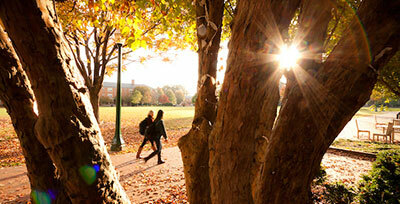 Computing information, technology tips and online chat at is.wfu.edu. Bookmark this helpful webpage, is.wfu.edu/new-student-computing, for easy access to information you need to know about computing in a campus environment. It’s your resource for computing policies, obtaining the software you need, getting help with your technology, printing, online learning through Lynda.com, using your gaming systems and much more. Read the information about successful computing in a campus environment that can be found at is.wfu.edu/new-student-computing.